New SA satellite to alleviate social ills? 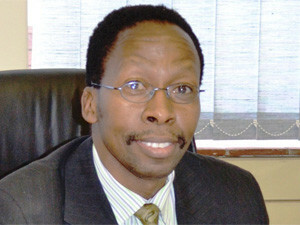 Sansa CEO Dr Sandile Malinga says the agency has learned a lot from the failed Sumbandila satellite. South Africa's new satellite will be the result of superior local design, will be larger, more robust and provide greater resolution than its predecessor and prototype SumbandilaSAT - and will provide data to address African priority areas. This emerged at last week's concluding workshop between the SA National Space Agency (Sansa) and local industry and academic experts, held to decide final specifications for SA's next earth observation satellite. Sansa says, as part of SA's contribution to the African Resource and Environmental Management Constellation (ARMC) of satellites, the local space agency, together with local industry, has held several discussions on the new satellite, ZA-ARMC1, and its associated benefits for SA and Africa at large. The new satellite, says Sansa CEO Dr Sandile Malinga, will provide data to address three African priority areas, namely food security, disaster management, and land use and land-cover mapping. Sansa says associated benefits include agriculture, climate, environmental impact assessment, farm settlements, housing, urban and regional planning, border monitoring, disaster monitoring and prediction, water management, oil and gas pipeline monitoring, safety, security and health. Malinga says one of the spatial resolution specifications requested for ZA-ARMC1 will also enable Statistics SA to have detailed mapping of dwellings across SA for the annual census. "The societal and economic benefits for South Africans will include the development of our human capital through joint and local development of the satellite, enhancing our technological competitiveness globally through applications development and remote sensing, and boost economic growth through public-private partnerships." Jimmy Weir-Smith, ICT professional at the department of agriculture, forestry and fisheries, says the new satellite will be able to provide regular, reliable and accurate environmental information that will benefit SA and Southern African Development Community countries alike, as well as enable "greater stability and sustainability in Africa". The ZA-ARMC1 has entered a five-year development cycle, which will see final concept design and specifications close to completion by early next year. Sansa says the satellite is expected to have a seven-year operational period. Currently, the ARMC comprises satellites from Nigeria, Algeria and Kenya. 2017 will see SA's first contribution with the planned launch of the latest satellite. Dr Jane Olwoch, MD of Sansa Earth Observation, says the latest stakeholder engagement session saw the final establishment and prioritisation of the user requirements for ZA-ARMC1 with government departments, industry and academia. "The specifications that will be utilised in ZA-ARMC1 will be agreed on based on the priorities and greatest impact, while taking into consideration the cost of the spectral and spatial instrumentation requirements," says Sansa. The ZA-ARMC1's predecessor, technology demonstrator SumbandilaSAT, was launched in the latter part of 2009 as part of an integrated South African space programme. Its primary purpose was to serve as a research tool to investigate the viability of affordable space technology. The data garnered has also been used to monitor and manage local disasters such as flooding, oil spills and fires. However, after a period of about two years in space, Sumbandila developed several problems and is now no longer contactable from the ground station, because solar radiation damaged its on-board computer. The Department of Science and Technology (DST) announced in January last year - about a month after the establishment of Sansa - that it would hold workshops on a 20-year satellite launch plan for the country. These would be aimed at enabling SA to launch its own satellites, said science and technology minister Naledi Pandor. Pandor has referred to the space industry as "big business" that encompasses more than just space travel. "It's also an industry that has enormous potential future growth." A formal space programme, she said, would be in place in SA over the next five years, despite little coordination of the country's space activities in the past. As part of this programme, and in light of the lessons learned with the delays experienced in the launch of SumbandilaSat, the minister said the department would also look at redeveloping SA's launch capabilities through defining a 20-year launch plan. The first indications of ZA-ARMC1 came to light towards the end of last year. Malinga said work was being done on adopting a design and determining costs, with early indicative figures yielding an estimation of R400 million. At the time, Malinga said the new satellite would be built with redundancy. "We have learned a lot from Sumbandila, so we will use modified designs and software."